Filed under gardening, motherhood, napowrimo 2009, scenes from a suburban life and tagged motherhood, napowrimo 2009 |	Enter your password to view comments. Filed under go-go dancer, napowrimo 2009, read. write. poem. and tagged napowrimo 2009, read. write. poem. |	Enter your password to view comments. Filed under dad, meh-mwah, napowrimo 2009 and tagged meh-mwah, motherhood, napowrimo 2009 |	Enter your password to view comments. Filed under napowrimo 2009, scenes from a suburban life and tagged napowrimo 2009 |	Enter your password to view comments. Filed under June Cleaver, marriage, motherhood, napowrimo 2009, scenes from a suburban life, this is not a love poem and tagged napowrimo 2009 |	Enter your password to view comments. 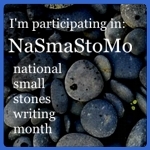 It was the first challenge of National Poetry Month: write 30 facebook status updates in 30 minutes. And here it is, the first draft of my first napo poem! * I used my first update as my title. What would you think about having a lemonade stand? The cardinal in the dead forsythia knows more than I do. Who doesn’t need a pail of fresh water from the well? Can anyone else see the woman swimming at the bottom of the well? Invisible feathers were never intended for swimming. When the red-tailed hawk stretched his wings above us, I remembered what jealousy is. It is always the birds. Sitting all day with the lemonade sweating in its pitcher. On the hottest day of the year you paint your portrait, sweat the rest of your life. Mix the colors with crushed peonies, but do not drink. Just about anything can be solved by a superhero in a long enough cape. Is the yellow warbler flying back and forth trying to tell me something or is he lost? Sidestep the dried leaves, slip on the rotten, roll yourself in the new. Climb a sandcastle to look out to sea. Do you carry a picture of your third birthday with you? Third birthday party: pigtails, pin-the-tail, heads or tails, where is the cat? Seven-layer cake: guns, pistols, sugar, hermit crabs, goldfish, leather bracelet, father. When the flame is too much (high), call a fireman. Scorch the curtains if you don’t like their drape. Get out the iron. I’m going to make a witch’s hat. There is really no need for a costume. Just step off the porch. In the end, a lady must choose between fins and feathers. It’s so simple once you get the hang of it. Dance some more, said the turtle. Take care not to thread your finger to the fabric. Dangle your latest creation from a single shred of skin. How to sew your way into your family’s heart: thread needle with empty vein. Would you say they have bled you dry?